One thing I totally do not like to do at the end of the day after using makeup is to remove it. I feel so damn lazy & irritated to remove it religiously though I do know the problems to the skin if makeup is not removed. Anyway since it is an important duty, I do use a makeup remover and a cotton pad to remove the kajal, eyeliner, mascara if at all used . Then I wash my face with a mild face wash followed by an eye cream and a night cream for the face.However when I am too lazy & tired, I go for my Bioderma SensiBio Water for a one stop solution & hit the bed directly. 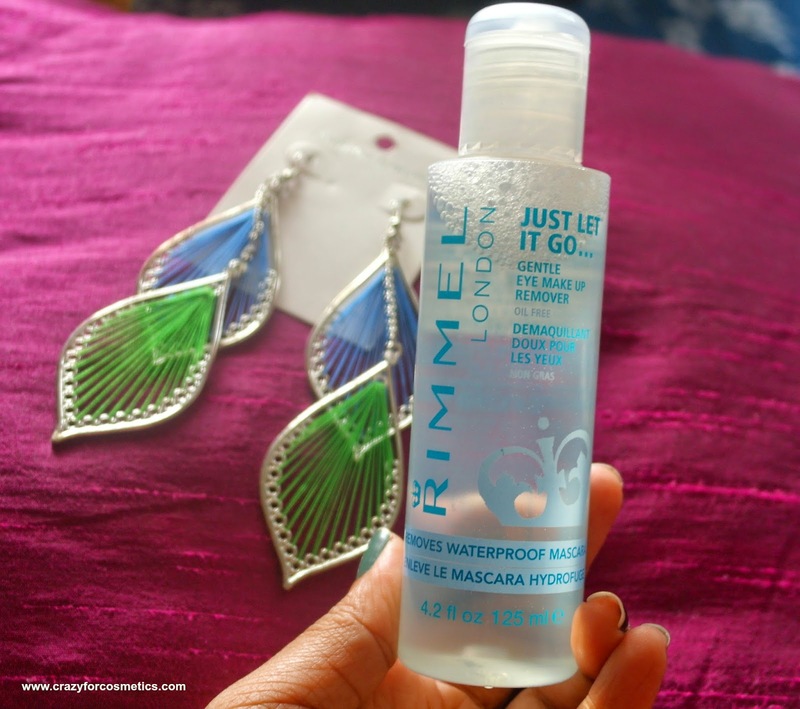 After my Maybelline Makeup remover was over, I wanted to try some other brand and I bought this eye & lip makeup remover from Rimmel London. 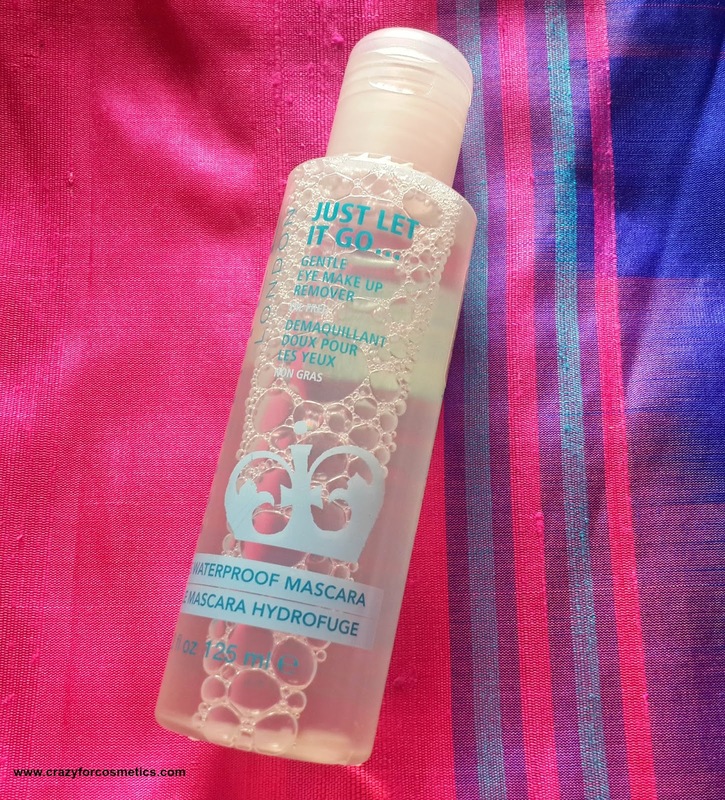 • Gently removes all eye make up, including long lasting & waterproof make up, with no oily residue. • Suitable for sensitive eyes & contact lens wearers. • Dermatologically and ophthalmologically tested. 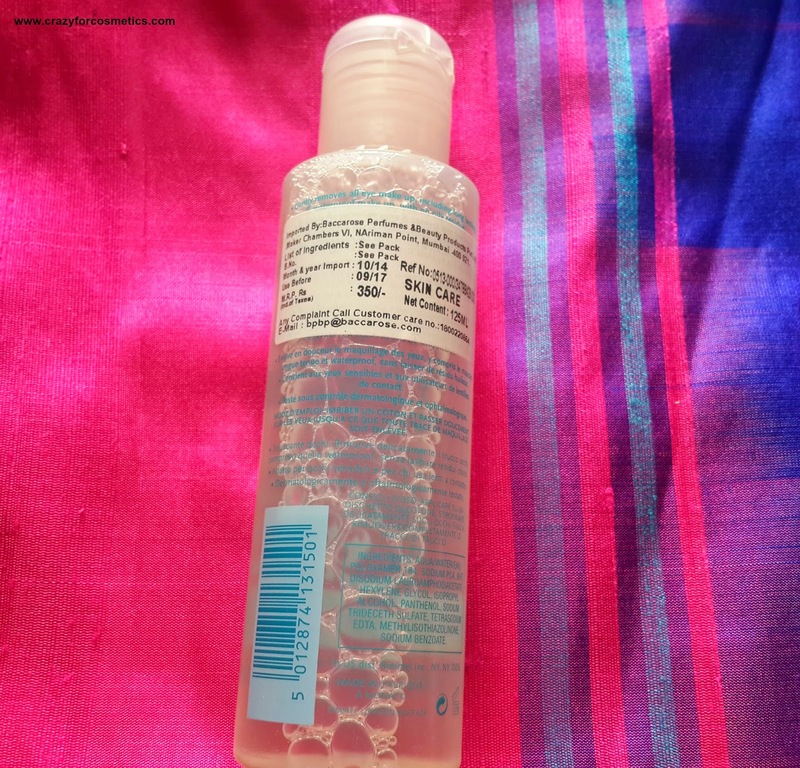 It comes in a plastic transparent bottle which is quite big in size and the quantity is 125 ml. It has a flip open cap that closes tightly and we need not worry about any spillage. The nozzle is of correct size to let the product only drop by drop and it is easy for us to control the flow. The packaging is very sturdy but it is quite big to carry it during travel. 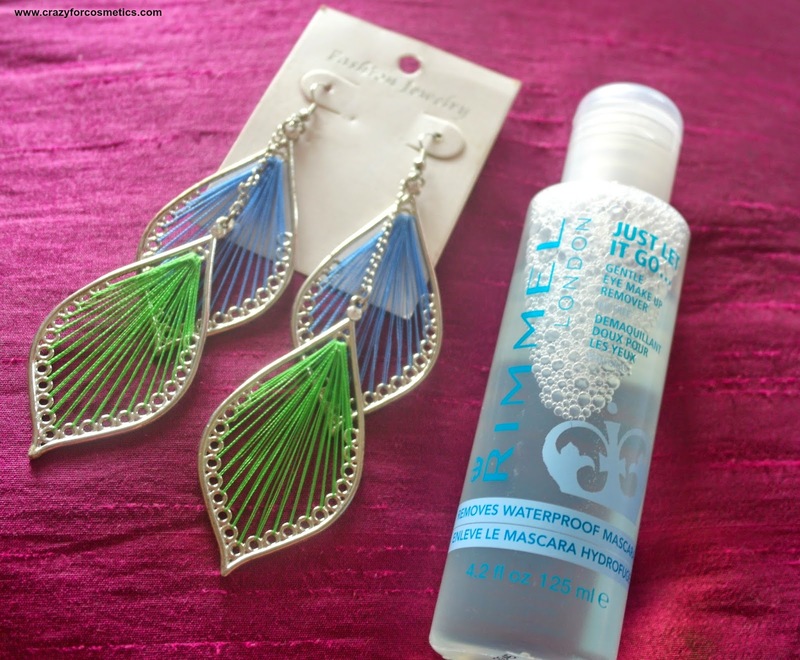 The text Rimmel London Gentle Eye Makeup Remover is printed in blue on the plastic case. The makeup remover is a liquid makeup remover without any oil and has a small nozzle which can be used to pour it onto a cotton pad. 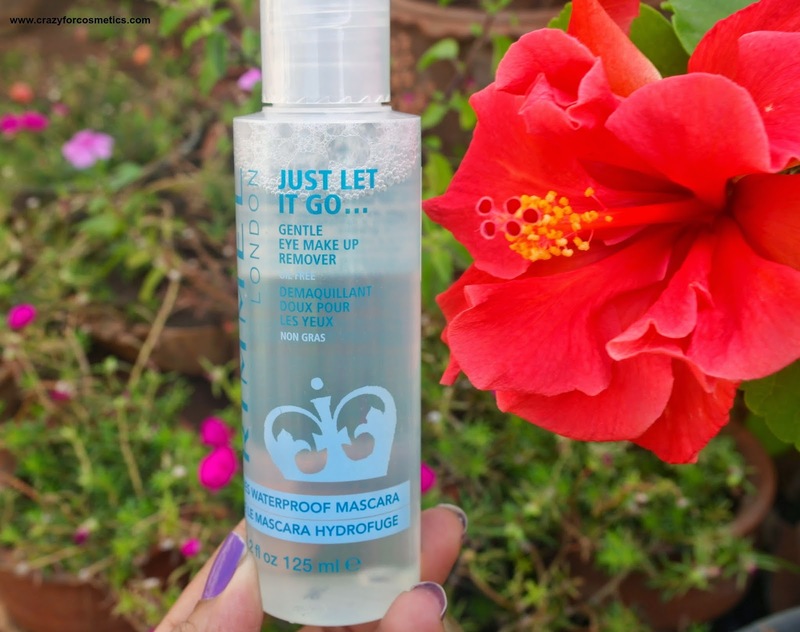 It isn't either a bi-phased makeup remover unlike other brands like Maybelline etc. 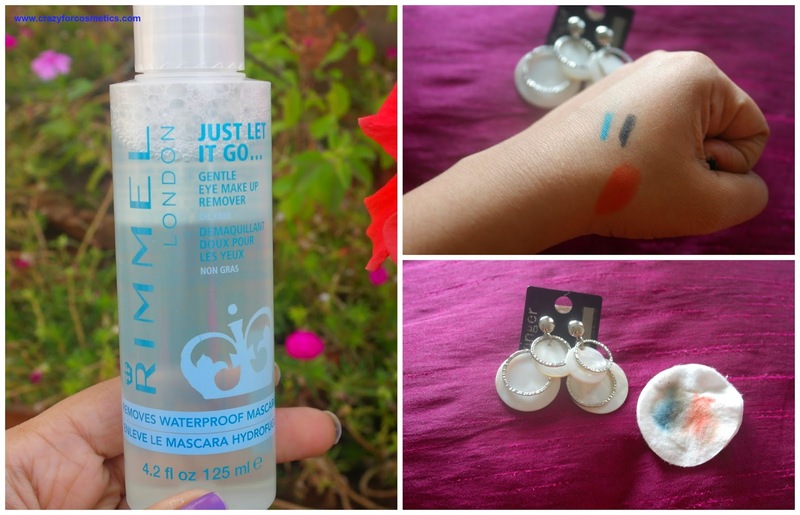 I took about 4 drops of the remover & used it for removing the eye makeup. 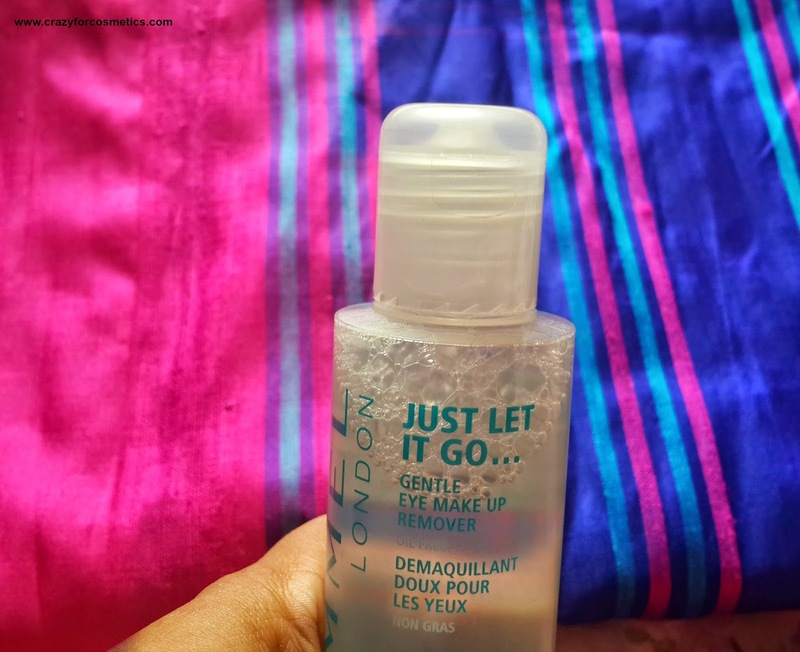 It was sufficient to remove the liner & kajal but not the mascara.If you wear a waterproof mascara, you may need another cotton pad with few drops of the remover and extra rubbing/soaking with the makeup remover. I prefer non waterproof mascaras anytime since removal becomes easy for me when compared to waterproof ones. I prefer to apply coconut oil on my eyes and leave it for 5 minutes before I wipe out mascara because I tend to lose few lashes during makeup removal. It does not cause any kind of irritation or tingling sensation in the eyes.It does not leave any oily residue & is a clean way of removing tough eye makeup. 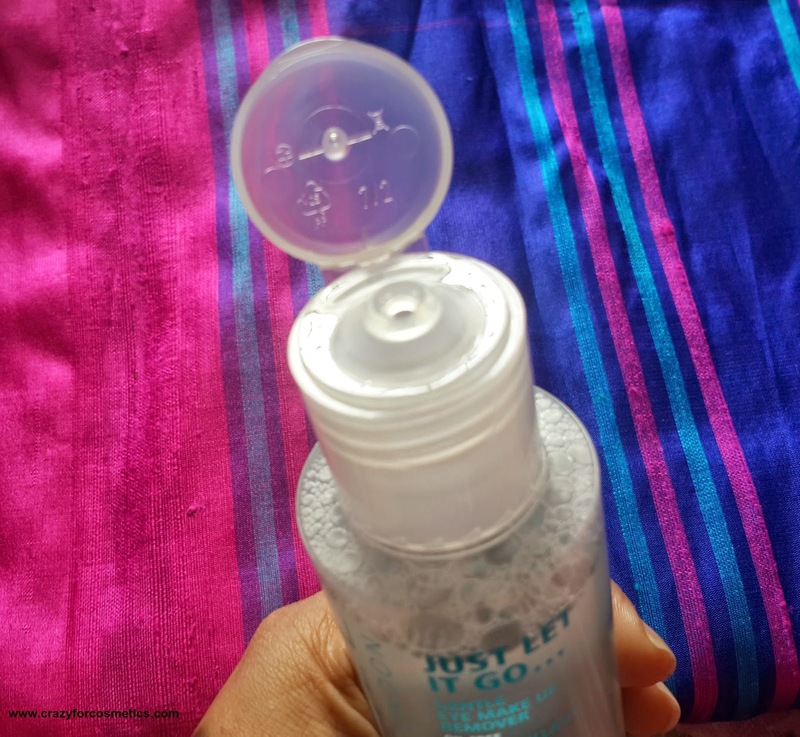 Oil based makeup removers tend to make the eye area black and it needs thorough rubbing at the time of washing the face but this one is so hassle free. 1 : Removes eye makeup easily with minimal product. 3 : Value for money( 125 ml). 4 : Can be used for both eye makeup & lip makeup removal. 6 : Dermatologically and ophthalmologically tested - does not irritate the eyes. 1 : Too big to carry around during travel. 2 : Need extra product & more effort for removing waterproof mascara.